This post is a response to an October 2018 New Yorker article, The Myth of Whiteness in Classical Sculpture, written by Margaret Talbot, which discusses the use of colour on ancient Roman and Greek statues. The article argues that academics have known for centuries that the marble figures were covered in bright paint but chose to ignore it so that we, the viewers of ancient statutes, now believe they were intentionally white. The reasons are multiple, according to Talbot. Among them is that up until recently excavation techniques were rudimentary and if a statue was discovered covered in earth (and undisturbed pigment) it would quickly be hosed down to reveal the marble beneath. Snobbery, aesthetics and overt racism (the idea of whiteness being equated with purity and goodness) are also given as factors behind this collective amnesia. 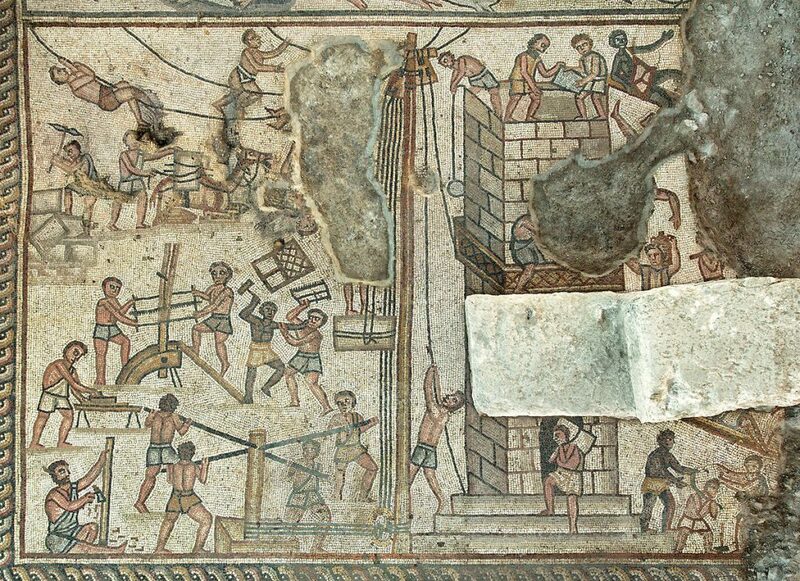 Mosaic depicting the building of the Tower of Babel, Huqoq synagogue. 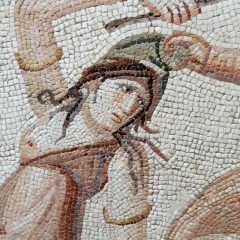 Detail from Dionysos mosaic, Setif, Algeria. 3rd C AD @Steve Richards. So far, so interesting. But only up to a point. For one thing, the debate about pigmentation on ancient statues has been alive and well for a long time and has not been ignored – see the clip below about the 19th century Alma Tadema painting at Birmingham Art Gallery, Pheidias and the Freize of the Parthenon, which is a contemporary response to a heated discussion of this very topic more than 100 years ago. Without denying that snobbery, skewed aesthetics and entrenched racism are significant issues, my view is that the whiteness of classical statutes had more to do with acquisitiveness and archaeological ineptitude than any other factors. For hundreds of years ancient artefacts were amassed by the wealthy with scant regard for their general art historical or other importance. Collectors were purely concerned about how they looked in their grand hallways and pigment, being flaky and messy, had to go. There is not much difference, it seems to me, between this archaeological vandalism and the way chunks of mosaic floors were routinely hacked away, discarding the rest because it wasn’t interesting enough or was too difficult to remove as a whole. Be that as it may, the article also covers the subject of what colours the statues would have been in their original state. Academics who specialise in examining marble for tiny flecks of remaining pigments (usually in discreet crevasses of the body – ears, nostrils, inside lips) are quoted giving their theories on how the stone faces and bodies would once have looked. Hold on for a minute while I climb down off my high horse and brush myself down. 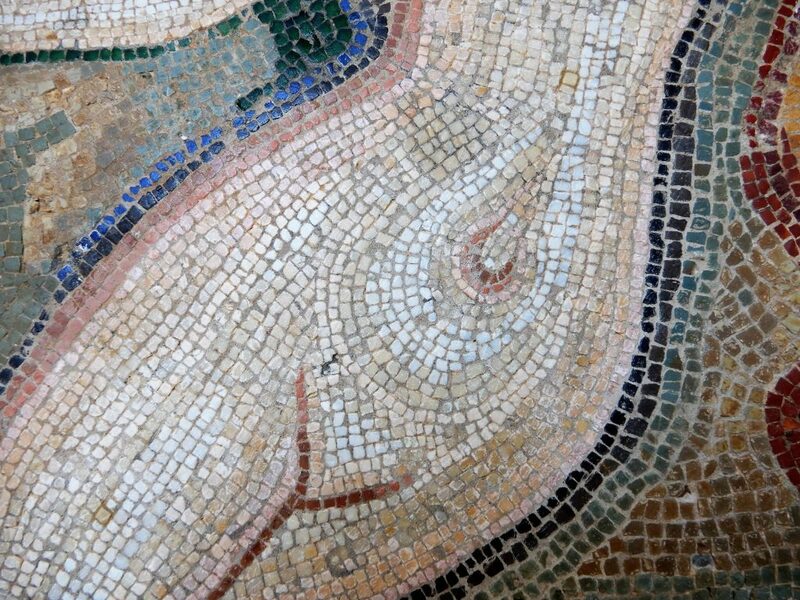 I want you (by which I mean Talbot and all the polychrome academics) to look at mosaics and see what is right there in front of your noses. I am amazed I have to do this. It’s so obvious, it’s ridiculous. 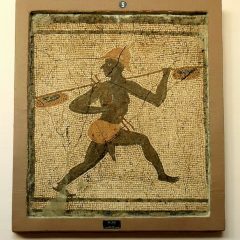 The designers, artists and makers of ancient mosaics were not shy about skin colour – all shades and races are clearly depicted. 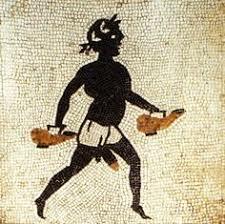 The ancient mosaicists were adept at handling colour, whether it be folds of cloth or the glisten on a cricket’s wings. If they wanted to depict blackness or whiteness they did so along with the whole spectrum in between. The methods they used could be infinitely subtle with careful gradation of stone and glass to depict shadows, tones and bone structure. 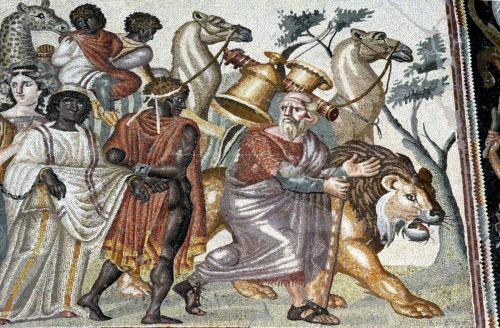 Of course I recognise that a mosaic is not a statue but there are many points of comparison and it is plainly absurd to ponder the issue of original skin colour in statues without looking at other ways that flesh tones were represented in the ancient world. I’m glad I’ve got that off my chest. 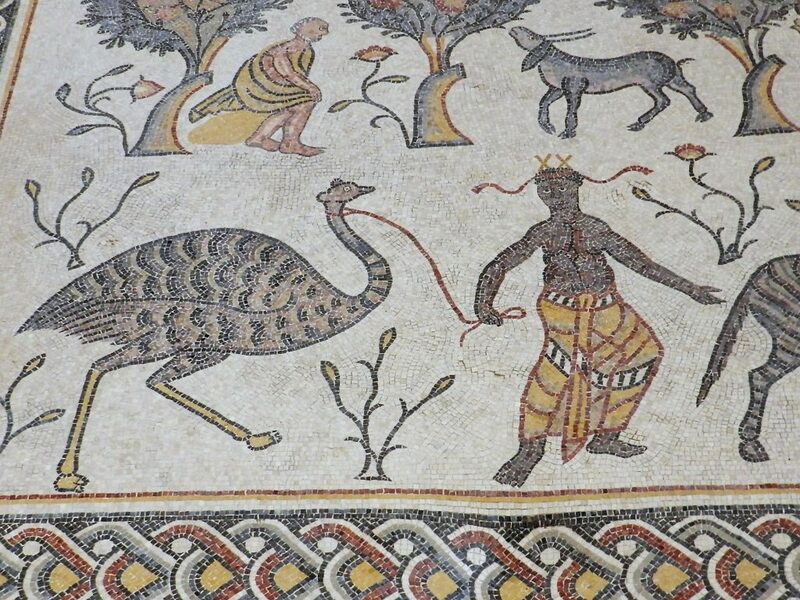 I fear that sometimes a faint whiff of rantiness rises from the screen but when it comes to mosaics I often feel that they are wrongly neglected. 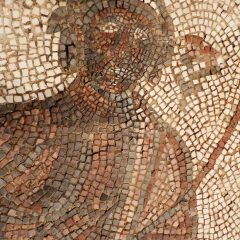 Mosaics could patently play an important role in the study of ancient art but, just like pigmentation, they have been ignored and scrubbed out of the story of art history. Unlike painted colours, however, they cant be entirely washed away. 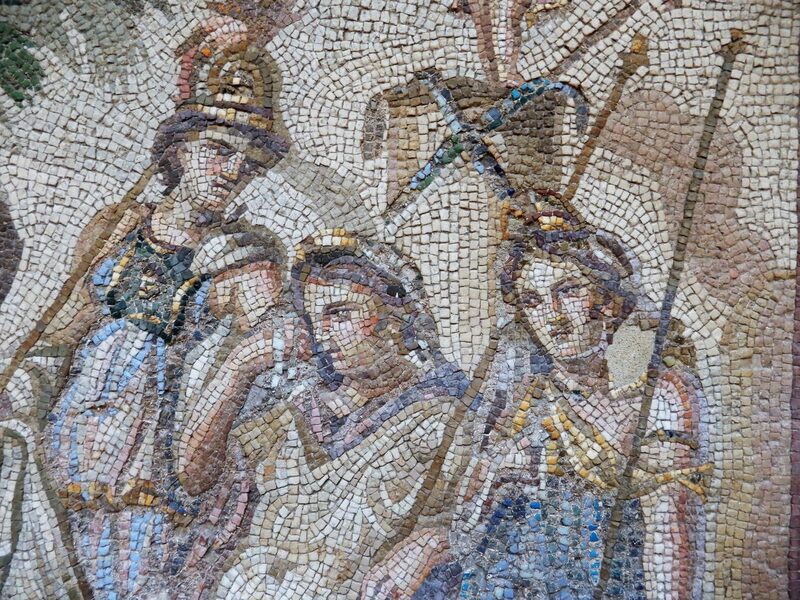 Oh Helen…thank you for writing about such a particular subject and how mosaic should be more a part of the art history conversation. I’m diving into flesh tones for the first time, so this was perfect timing for me. Always a pleasure to read you. 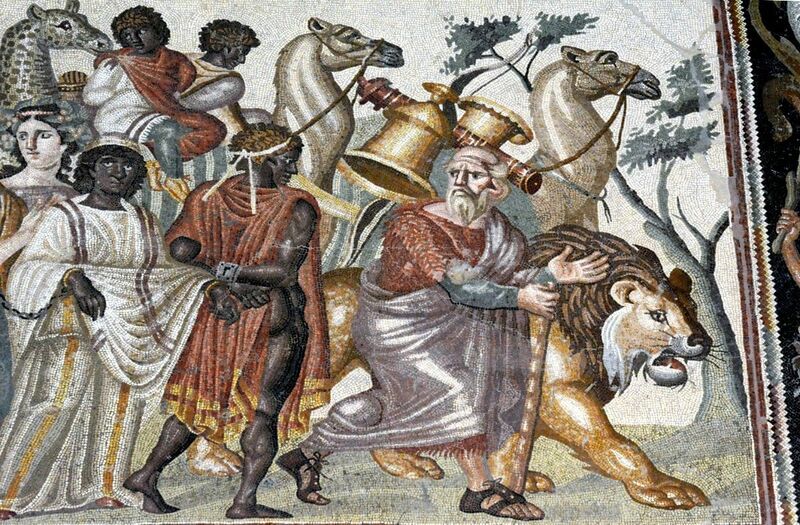 I believe that the colour of greek statues, have nothing to do with roman mosaics colour!! They are totally different centuries. 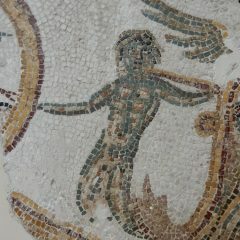 And of cource the colours of mosaic have been analyzed and we know almost everything about them. Thanks for this Mimis! 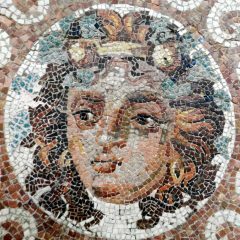 Yes, this is indeed true but it is also true that many mosaics showing adept use of colour are from the Hellenistic period, the same time and geographical area as the statues being examined. 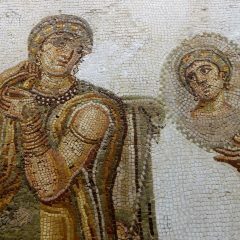 Moreover, the New Yorker article refers to classical statues of the Roman and Greek period (not just Greek) and explicitly refers to domestic interiors in Pompeii where mosaics were obviously crucially important. Therefore, it strikes me as odd that in the quest to find out how skin tone was depicted, that the academics don’t at least refer to obvious extant examples. It all seems so obvious, as you say. Is it that the ‘fine art’ snobbery is at work here, and folks who should know better are considering mosaics beneath their interest? Several years ago I was in the Archaeological Museum in Thessaloniki where they had made a coloured reproduction of one of their sculptures. There too I wondered about the flat overall application of colour when so much trouble went into the tiniest details of their mosaics. You have piqued my interest, thank you. Thank you, Olga, that is a very good point. 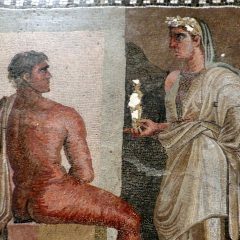 I haven’t paid so much attention to how experts have attempted to reproduce the colours on classical statues but it does indeed seem unlikely that they would have produced such subtle representations of skin tone in their mosaics and frescoes and then just applied flat coats of paint to the sculptures. Very intriguing. 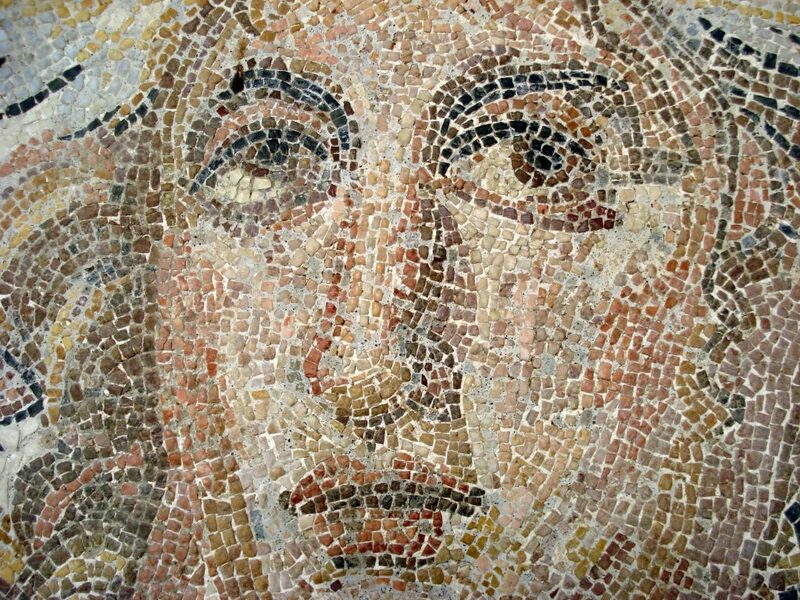 Mosaics have to be integral in the overall arts spectrum. 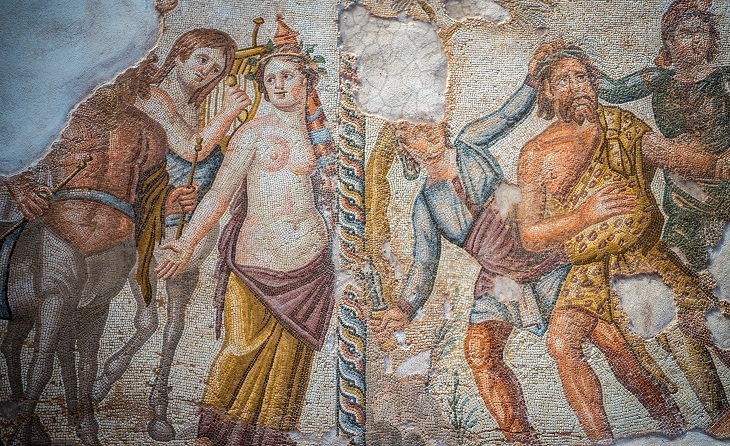 There is still more to discover about the ancient world. p.s. the author of the New Yorker piece is Margaret Talbot? Thank you so much Lisa! How on earth did that manage to escape me? I have changed to Talbot. what about the availability and characteristics of the stones used ? 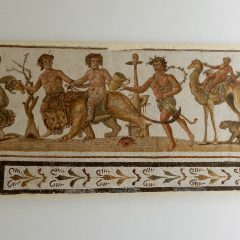 the medd basin is loaded with pale colored material (carrera,istria,noto,thassos) – the pale color comes from calcium carbonate usually and is the reason these limestones and marbles are easy to carve and shape. If the marbles of greece and the italic peninsula were black and grey you would be visiting black and grey statues in the musuems of NYC and London – thats geology from billions of years yet academics who are obsessed with the race topic refuse to see the world in anything other then ‘black and white’ . The villages of Mount Etna sicily are all built of volcanic stone – basalt – black stone , the architectural ornaments, the elephants , the angels , the pavements …all black. Thats what they have to work with. 30 miles away in Noto sicily the village is entirely beige , built with the soft orange travertine of Noto . Do you suppose the folks of Noto and Etna have different views on race ? I am a stone conservator currently cleaning 15th century statues in Venice – the statues are carrera , white marble, they became so dirty that 300 years later the caretakers thought they were black stone and rubbed a protective coating on them that made them even more dark – 250 years later a non profit decided to clean the statues as the black crust was damaging the stone and now they look like an oreo cookie as they are being laser blasted – these statues remained on the top of the palazzo ducale for 600 years in various shades of color – all of the istrian stone in Venice has had a life as black and white and copper green ….they were black and white for hundreds of years each color , did the opinions and secret hidden messages on race change or did the damn statues just get dirty ? common now.